Red alga, Gracilariopsis chorda, contains seven carbonic anhydrases that can be grouped into α-, β- and γ-classes. Carbonic anhydrases (CAHs) are metalloenzymes that catalyze the reversible hydration of CO2. These enzymes are present in all living organisms and play roles in various cellular processes, including photosynthesis. In this study, we identified seven CAH genes (GcCAHs) from the genome sequence of the red alga Gracilariopsis chorda and characterized them at the molecular, cellular and biochemical levels. Based on sequence analysis, these seven isoforms were categorized into four α-class, one β-class, and two γ-class isoforms. RNA sequencing revealed that of the seven CAHs isoforms, six genes were expressed in G. chorda in light at room temperature. In silico analysis revealed that these seven isoforms localized to multiple subcellular locations such as the ER, mitochondria and cytosol. 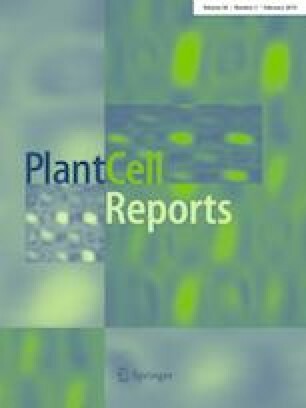 When expressed as green fluorescent protein fusions in protoplasts of Arabidopsis thaliana leaf cells, these seven isoforms showed multiple localization patterns. The four α-class GcCAHs with an N-terminal hydrophobic leader sequence localized to the ER and two of them were further targeted to the vacuole. GcCAHβ1 with no noticeable signal sequence localized to the cytosol. The two γ-class GcCAHs also localized to the cytosol, despite the presence of a predicted presequence. Based on these results, we propose that the red alga G. chorda also employs multiple CAH isoforms for various cellular processes such as photosynthesis. The online version of this article ( https://doi.org/10.1007/s00299-018-2356-8) contains supplementary material, which is available to authorized users. This work was supported by grants from the National Research Foundation of Korea, Ministry of Science and ICT (No. 2016R1E1A1A02922014), and from the Collaborative Genome Program of the Korea Institute of Marine Science and Technology Promotion (KIMST) funded by the Ministry of Oceans and Fisheries (MOF) (20180430). Dong Wook Lee was supported by a grant from the Next-Generation BioGreen 21 Program (SSAC, grant number: PJ01335801), Rural Development Administration, Republic of Korea.